After a hot day in June, you hop in the shower, turn on the faucet—and nothing comes out. This is a situation state Representative Kathleen Curry is hoping will never happen to a Colorado homeowner, with the creation of a new law requiring developers to prove there is an adequate water supply for their future development before beginning construction. On Thursday, May 29, Colorado Governor Bill Ritter approved House Bill 1141, known as the Adequate Water Supply Bill. House Bill 1141 requires developers to prove they can provide a sufficient water supply before they can build developments of 50 or more single-family homes. The Water Supply Bill was sponsored by Curry (D-Gunnison) and Senator Bob Bacon (D-Fort Collins). 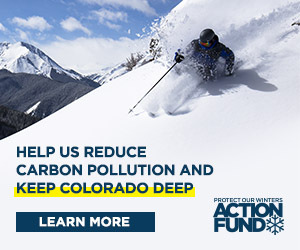 “When it comes to protecting Colorado’s water and other natural resources, we must be responsible, thoughtful and aggressive in our approach,” Ritter stated in a press release Thursday. The bill also gives community planners the authority to reject a development proposal if they deem there is an inadequate water supply. According to Curry, the bill specifically gives the water supply authority to municipal governments. She says county governments in Colorado already have the authority to require developers to demonstrate they have an adequate water supply. An April 21 Rocky Mountain News article reported that the Douglas County Planning Commission approved a development master plan for an 11,000-home subdivision on land owned by Sterling Ranch LLC west of Castle Rock. As a condition of the development, Douglas County Planning Commission members say they will be requiring the developers to prove there will be an adequate water supply at build-out, as well as sufficient water, sewer and electrical infrastructure. Bacon says new developments will continue for a long time in Colorado. “Colorado will welcome as many as two million residents over the next 15 years,” he says. Bacon said rapidly growing counties like Larimer and Mesa were particularly vulnerable to water supply issues. Upper Gunnison River Water Conservancy District manager Frank Kugel says the bill includes details such as a developer being required to estimate peak water usage at full build-out of the development, and having an engineer’s approval of a physical and sustainable source of water.